Stop it! I'm spending every penny of this month on NOWHERE and Sylvia's designed t-shirts and posters!! Btw don't know if I mentioned it earlier, Leonard is our logo guru. 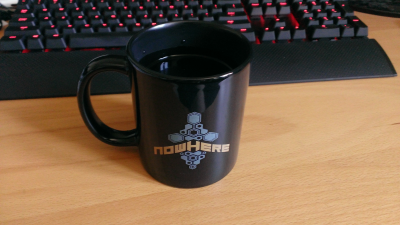 He created the Nowhere shirt and mug design. Thank you for the compliments . Currently waiting for the Calendar 2015 test print. @learn_more Thanks a lot for posting :]. Btw everybody here is also the link to the .DE NOWHERE merchandise shop. Upcoming Coupon: "Free Shipping as of 2+ items in EU + NA (16.09. - 23.09.2014)"
I will post the Coupon code tomorrow. If anyone is interested, just grab it!